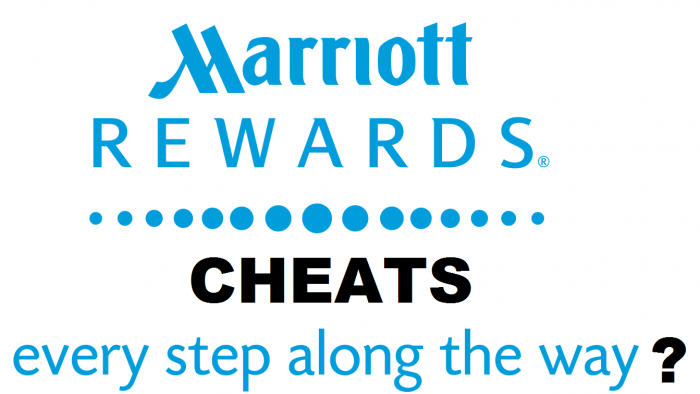 Reader Email: Marriott Cheated Me John! Many readers have emailed about their issues with Marriott & SPG integration that happened this past Saturday and I have already addressed some on my previous pieces. Here’s one reader that feels cheated by Marriott. You can access Marriott’s page for combined program information here. John I remember you use to say a wise word .. Fool me once, shame on you; fool me twice, shame on me. I hope you take a look at my case , and sorry if it is long.. I am an elite platinum in Marriott Rewards for 6 years and when I don’t reach my goal of 75 nights per calendar year i use to have an offer to continue being platinum elite by buying points “40,000 points” in the beginning of the year. last year they said we don’t do that anymore, but they said you can finish a challenge and if you did it you will be a platinum elite until January 2020 , I said: what is this challenge? They said: you have to complete 9 stays During three months , I thought about it and make my decision and took the challenge and after many trips I completed 9 stays in Marriott hotels instead of staying in other loyalty programs hotels I am registered in Hilton “Dimond” and IHG “Royal Ambassador” and Raffles “gold” .. I even sometimes stayed in hotels I don’t really need just to get this challenge done. And after I finish the challenge last June I became Platinum elite again, and they told me I will still be platinum elite till January2020 , and as they mentioned that in the new loyalty program “August 18th” I will be platinum Premier elite, because everyone who is platinum in the old program will be platinum Premier elite in the new program , because that’s what’s really equals his categor “the 75 night category “. 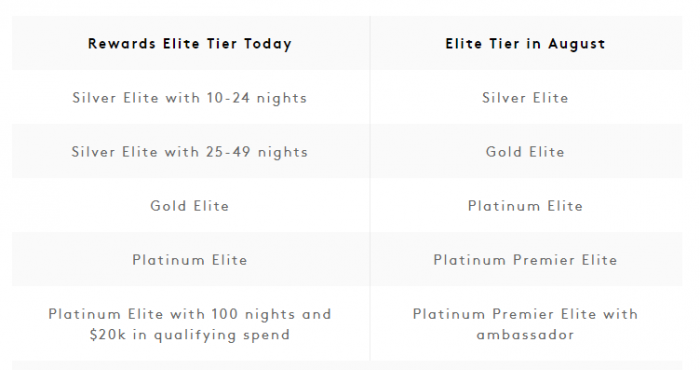 I was happy and waiting for the new loyalty program, but I was shocked when they launched the new program that I am only platinum elite.. that doesn’t match what I Challenge to reached!! I called them and the costume care said : you didn’t stay 75 nights last year so you won’t be platinum Premier elite in the new program!! O really?! What about the challenge.. was it a joke?! I’m totally disappointed that they asked me to make a challenge and after I did it they didn’t give me that category that matches with what they ask me to challenge for. I completed my challenge in June, and I supposed to stay till January 2020 in this category, but instead of that they made me and I can’t agree that equals gold and it will end next January 2019..! Why did you ask me to complete the challenge that should keep me in my highest category till 2020 if you are planning to bring me back to the gold category after two months “which equals platinum elite in the new program “ even if I complete the 9 stays challenge you asked me to register in?!! Is that how Marriott keeps the loyal customers?! My question is: what would you do if you have the same problem John ? It is clear that Platinum status should have mapped to Platinum Premier. Any status earned this year is valid through 2020. I forwarded this reader’s email to Marriott for a comment but haven’t received a reply. I guess that they still believe that everything is going 100% smoothly with the program merger (not the case) and don’t like any coverage that doesn’t agree with their view. It is unclear from where the reader is from. US (and foreign ones that can use someone address in the US) readers who feel that they are wronged can open cases with the Attorney General of the state that they live in or where Marriott HQ is against Marriott International based in Bethesda Maryland. Sebastian just wrote a piece (access here) that you can no longer reach Marriott’s Consumer Affairs by phone. Members that live elsewhere can contact their local consumer ombudsman and have Marriott International’s closest local office as their counterparty. It is very unfortunate that Marriott Rewards really botched the program merger. Members still cannot log into their accounts, some need to use incognito window (I have been using this method to use Marriott’s website since early this year – nothing else has worked), you cannot combine accounts if there is even one letter difference, some have had their accounts deleted, some points disappear, some like myself have had nights disappear from their yearly totals and I could jet keep going. Customer service is giving out incorrect information and unable or incapable of resolving issues.